Choose from a range of components to create Your custom solution ! A collection of system services forming the backbone, providing the messaging, glue, synchronization, cloud infrastructure, security, integration, and database structures. We are continually advancing the platform’s capabilities, speed, and extensions, thus improving the overall value of your solution. 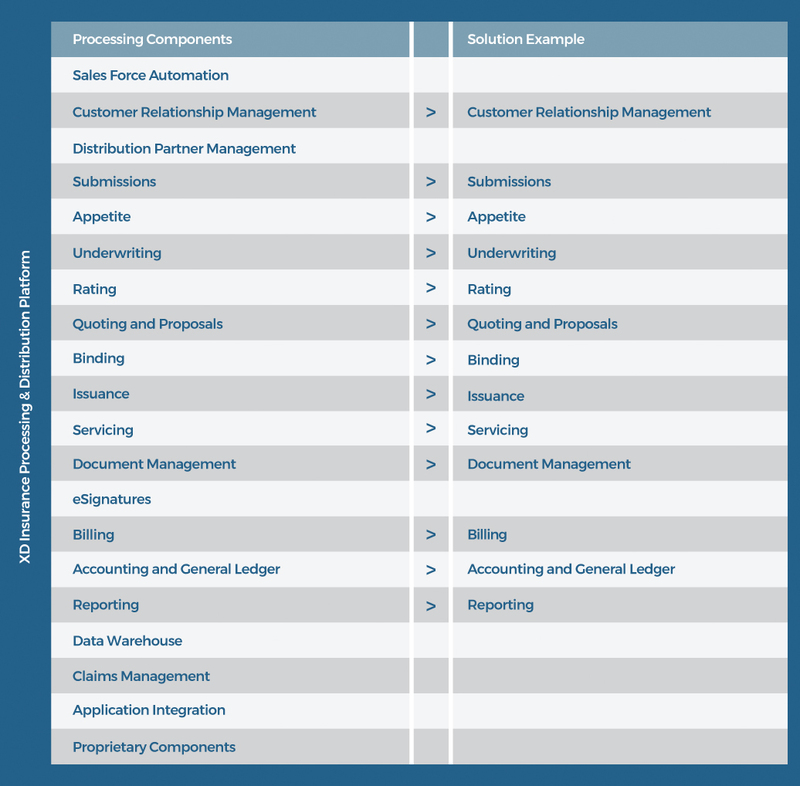 The processing components embody the insurance processing logic and rules, available in configurable, semi-custom, and fully custom forms, allowing us to dial in your solution. When we don’t have a component that meets your needs, we can build it. Rest assured that the XD Insurance Processing Platform will deliver the most advanced solution that creates and sustains a competitive advantage for your organization. It’s foundational for us.